Dr. Kevin Watson has written a fresh new guide to the theory and practice of the Wesley class meeting, an essential element of truly Wesleyan spirituality. This book is for clergy and congregations who are looking for ways to develop deeper discipleship. The class meeting is made workable without losing its essential dynmic as a gospel-based accountable community. 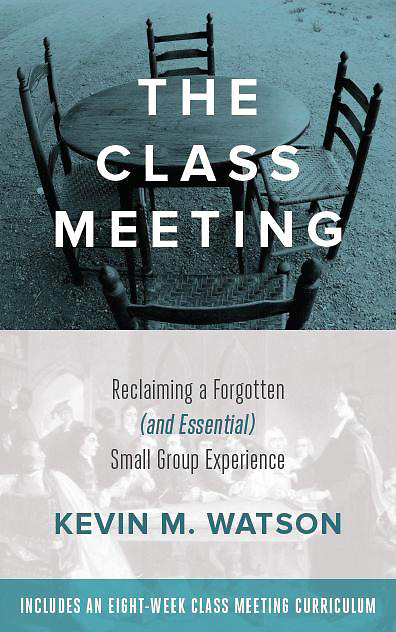 Watson has resurrected the class meeting and given it new meaning, showing its relevance for the church today and how it may be a perfect means for church renewal. Watson's book unfolds a vision and a practical strategy for developing small groups that are much simpler than the typical group, while being more productive and with greater spiritual depth. The Class Meeting is structured into an eight-week study resource designed for a small group to work through together. Along the way, your group will be progressively equipped with a shared language to talk about the work of the Holy Spirit in the inner person and a structure for holding these kinds of meetings. After eight weeks, the book is laid aside and the class meeting is born.